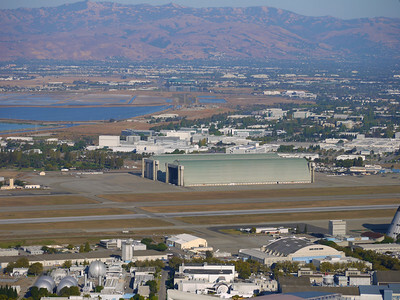 Approaching Moffett Field, now operated by NASA. 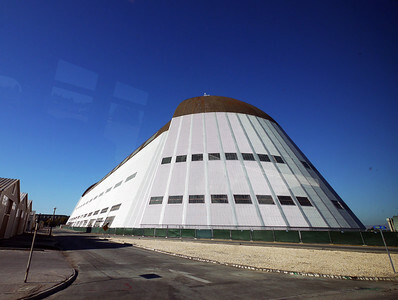 The enormous and historic Hangar 1 at Moffett Field, built in 1933. 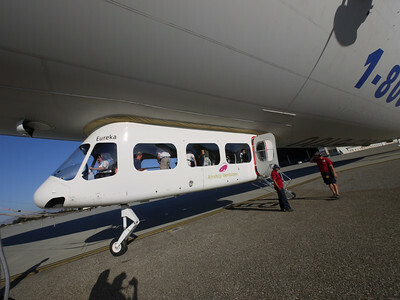 There are two 150 horsepower electric motors needed to open the clamshell doors. 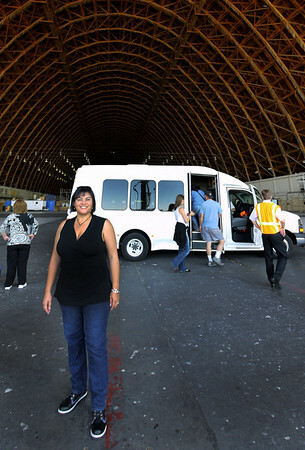 Phyllis and the Airship Ventures bus inside hangar 2. 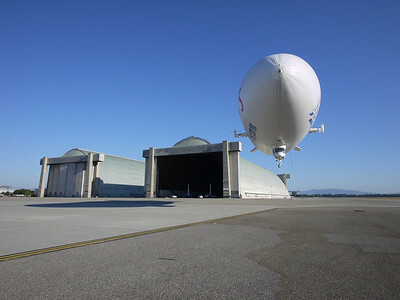 The Airship Ventures Zeppelin landing at Moffett Field in front of airship hangars 2 and 3. 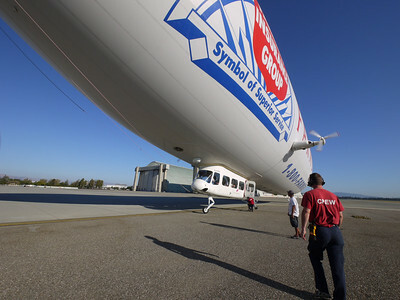 "Hmmm... did I remember to shave today?" 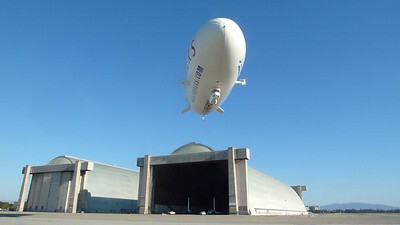 One of the many NASA wind tunnels onsite. 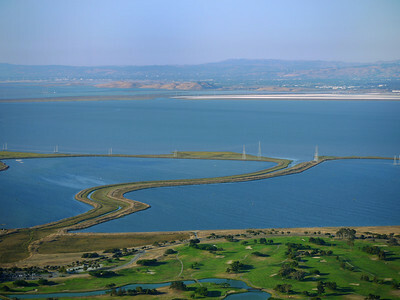 Shoreline Golf Links and the Mountain View Slough. 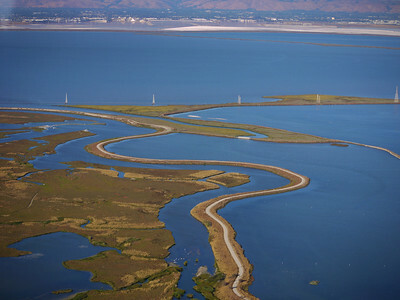 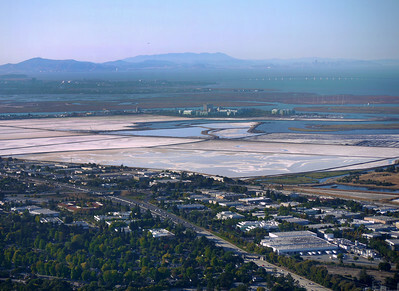 Salt reclamation near Bayfront Park and Highway 84 / 101. 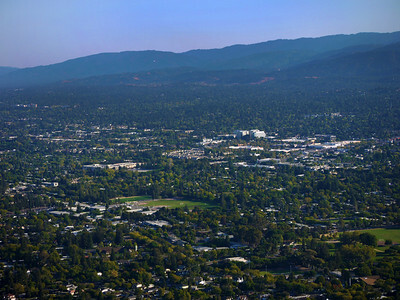 Redwood City, Ca. 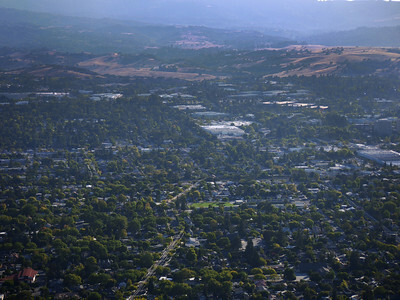 Woodside Rd (Highway 84) in the distance. 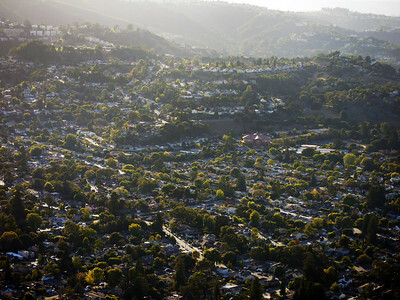 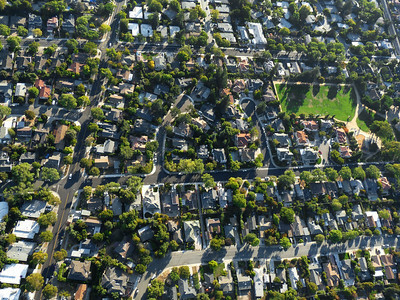 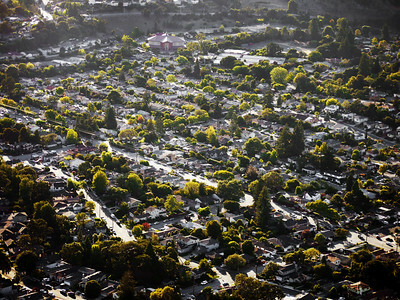 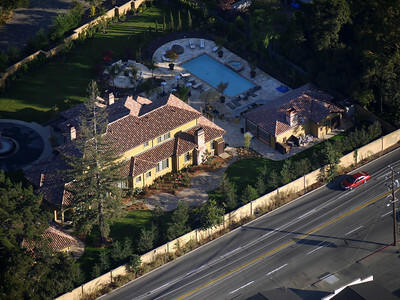 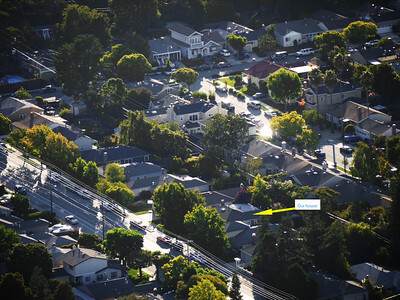 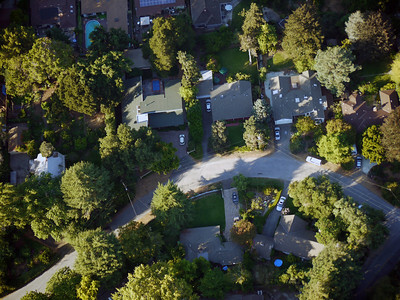 Our neighborhood in San Carlos, CA. 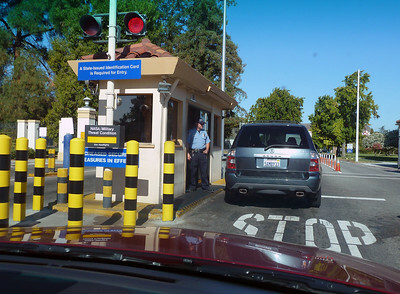 The NASA staffed ID check point at Moffett Field. 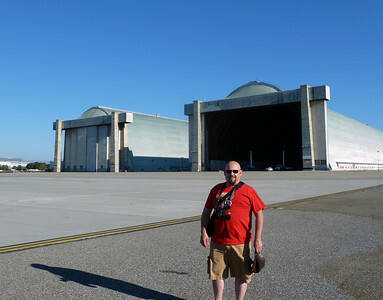 Craig Howell outside airship hangars 2 and 3. 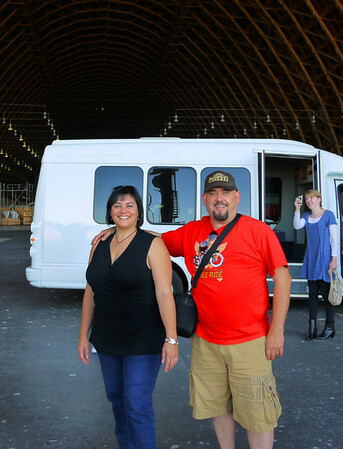 Craig & Phyllis inside Hangar 2. 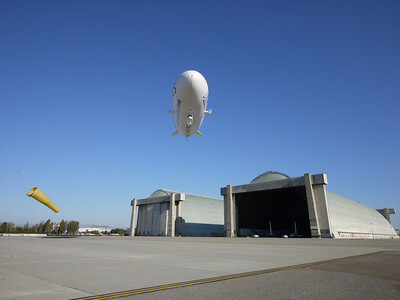 The Airship Ventures Zeppelin coming down for a landing near Hangars 2 and 3 at NASA's historic Moffett Field in Mountain View, California. 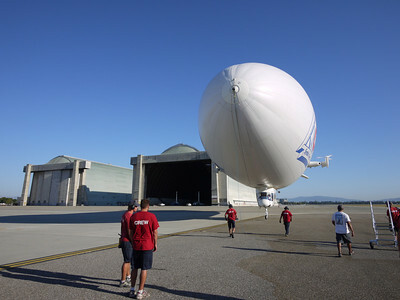 Getting read to have us walk toward the airship, one at a time. My true "Charlie on tour in the chocolate factory" feelings emerge. 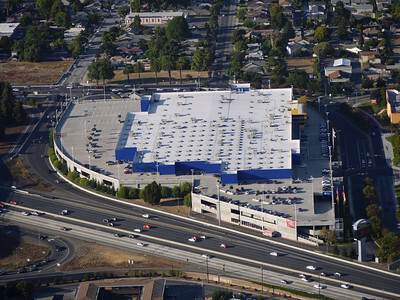 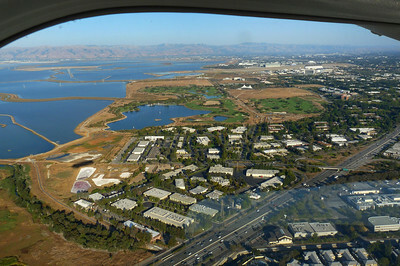 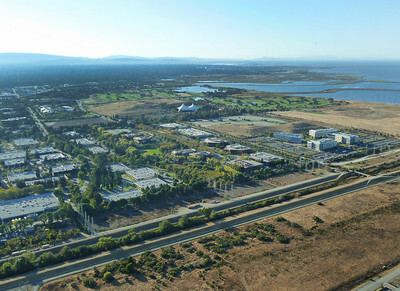 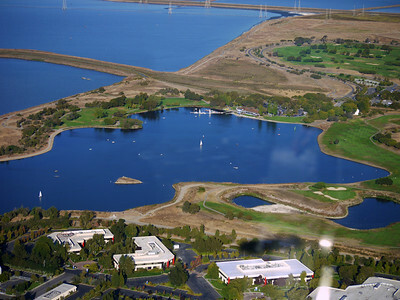 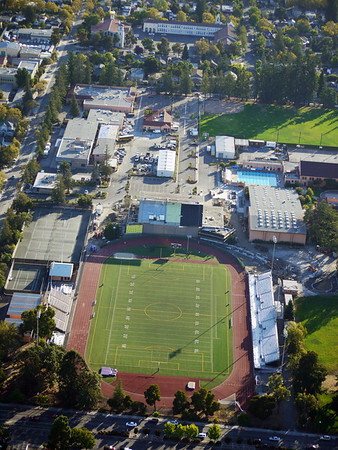 Shoreline Amphitheater complex and surrounding business park. 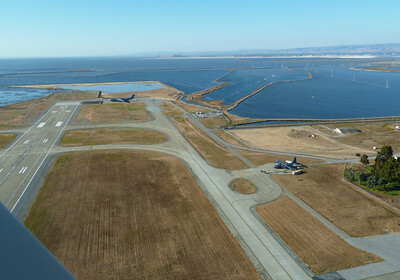 Looking back toward Moffett Field and Hangars 1 and 2. 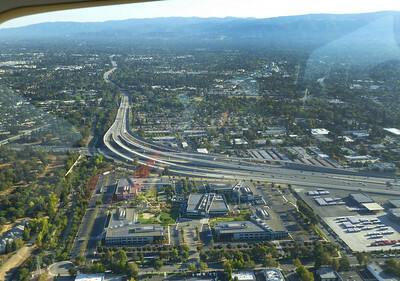 Highway 101 with the 85 Interchange, Costco lower right. 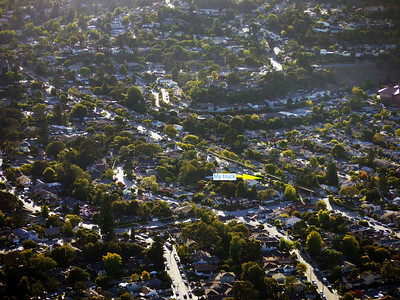 Some dude, apparently completely immune to the ravages of "Zep Head." 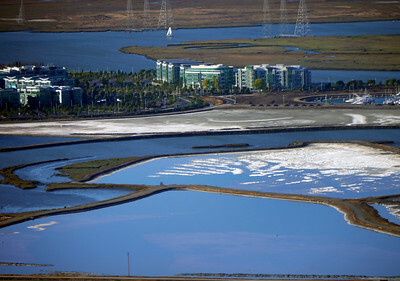 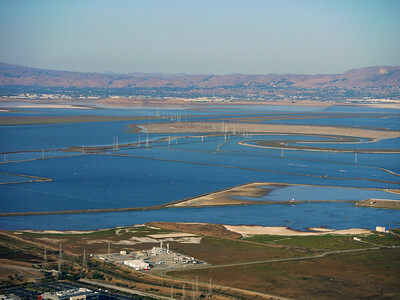 Salt reclamation pond, the Steinberger Slough, and the end of Seaport Blvd and its isolated and unusual business park. 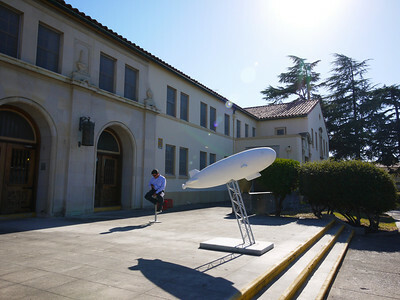 The Airship Ventures building at Moffett field, a former Bachelor Officers Quarters. 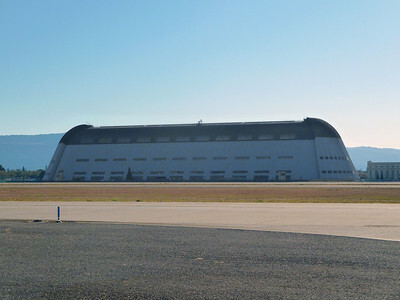 The closed "pocket" doors on hangar 3. 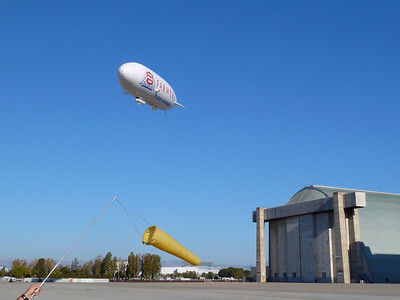 The Airship Ventures Zeppelin being led home by it's high-tech windsock wielding ground crew. 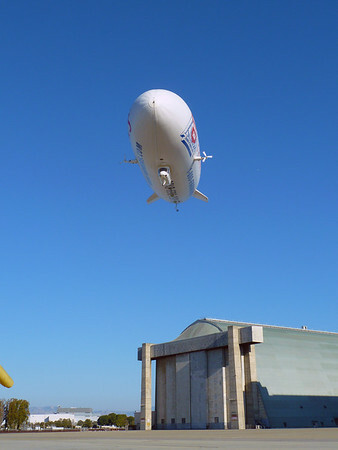 Attaching the portable "floating" stairs. 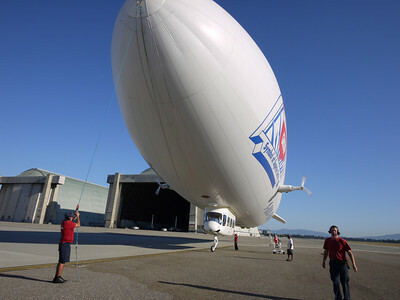 Our pilot lifting us off the tarmac. 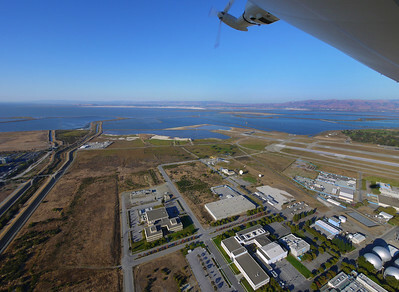 Moffett Field buildings and the San Francisco bay. 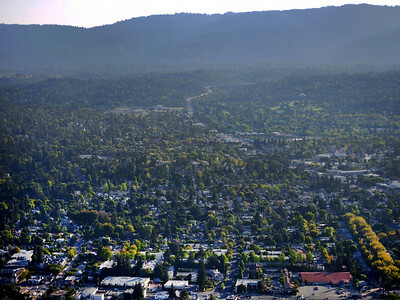 We have friends that live somewhere in this photo! 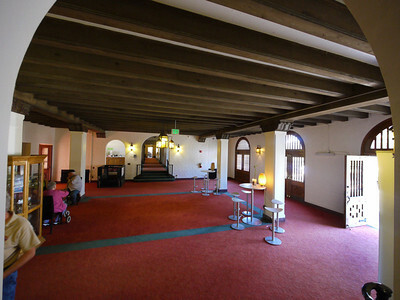 Inside the old BOQ, now the offices of Airship Ventures. 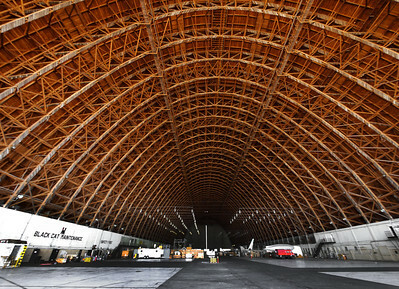 The enormous vault of redwood in hangar 2. 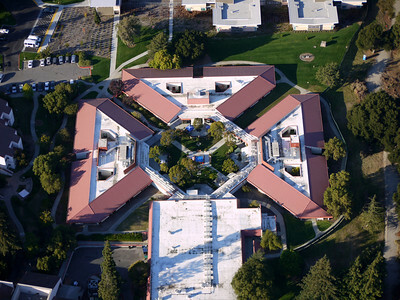 Built during WWII, steel was in short supply for war so the building is built from locally abundant redwood and concrete. 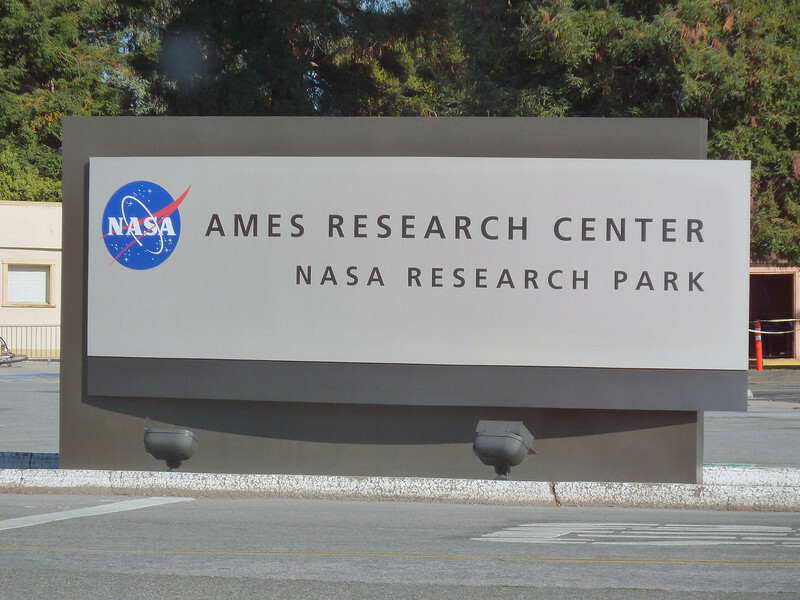 Lots of "hurry up and wait" in the hot sun for these guys. 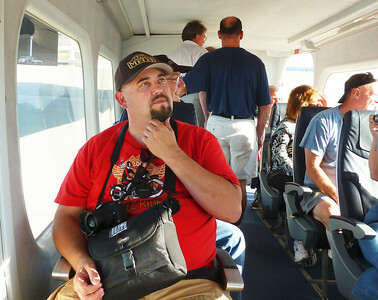 The gondola, full of passengers about to exit. 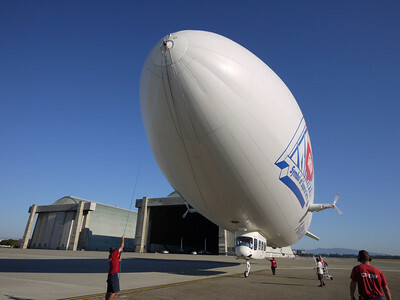 They come off one at a time as one new passenger goes on, to maintain approximate balance and weight. 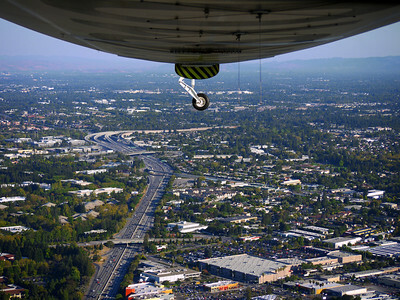 Lifting off vertically above the Moffett Field runway. 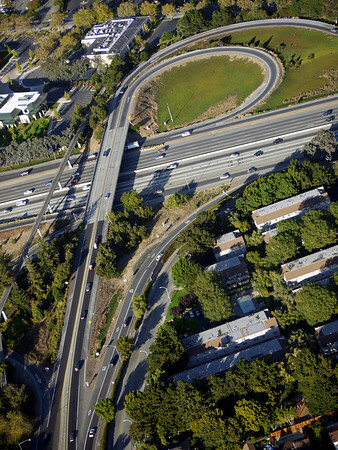 Highway 101 and 85 interchange. 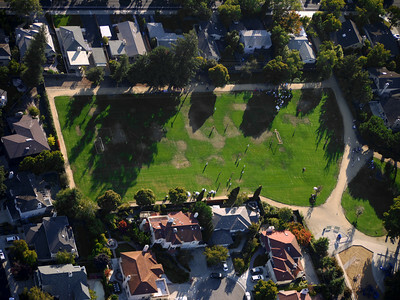 The Dunbarton Bridge and the Ravenswood Open Space. 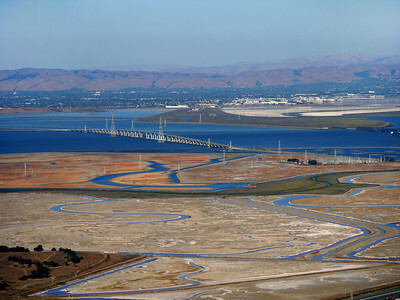 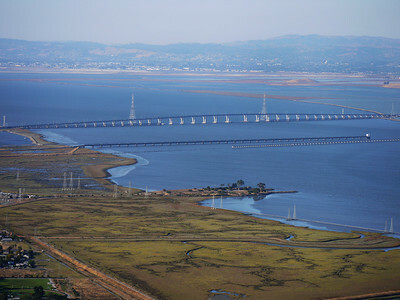 The Dunbarton Bridge with the Westpoint Slough in the foreground. 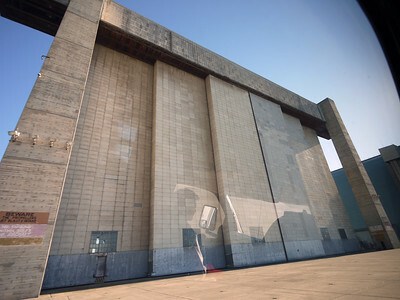 The enormous and historic Hangar 1 at Moffett Field, built in 1933. 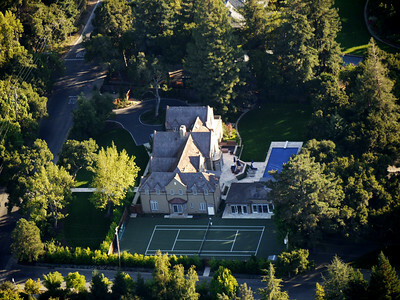 The floor covers 8 acres and can accommodate 10 football fields. 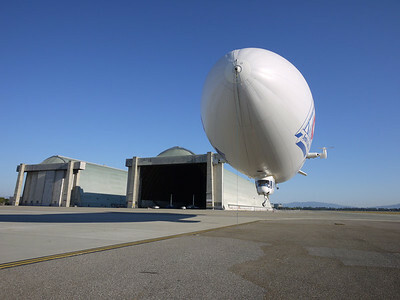 The airship hangar measures 1,133 feet long and 308 feet wide. 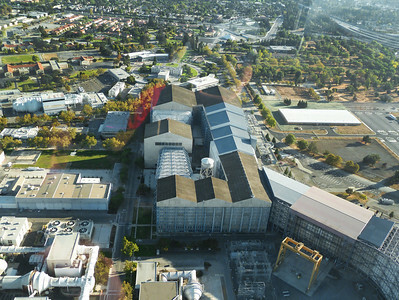 The walls curve upward and inward, to form an elongated dome 198 feet (60 m) high. 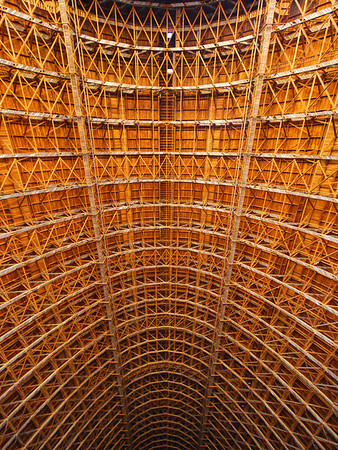 Looking up ward into the enormous redwood vaulted roof in hangar 2. 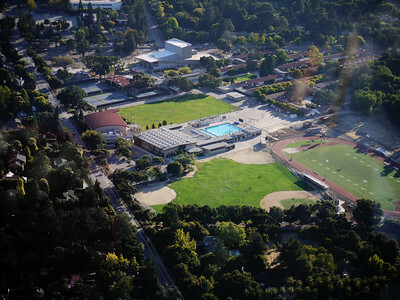 Built during WWII, steel was in short supply for war so the building is built from locally abundant redwood and concrete. 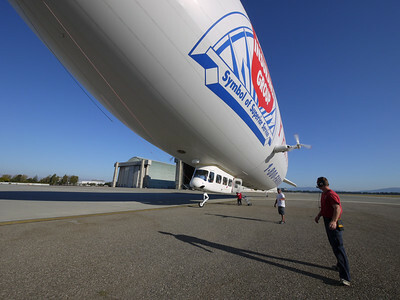 HD Video of the Zeppelin coming down and landing, and the subsequent boarding. 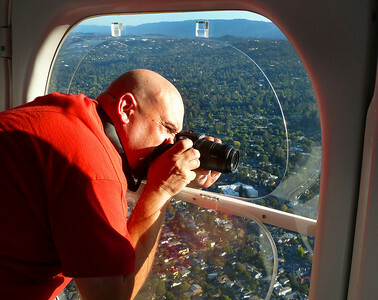 One crew member steadies the craft with the nose rope. 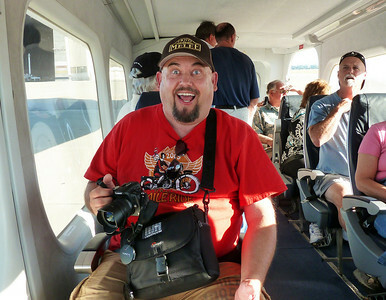 He must be heavier than he looks. 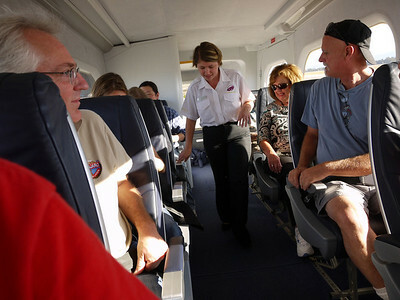 Getting situated in the 14 passenger "every seat a window seat" cabin. 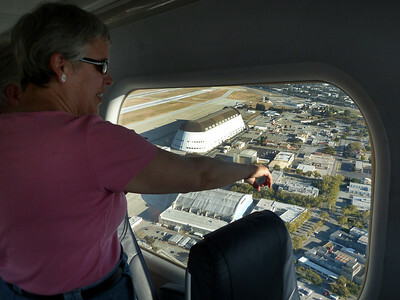 A "regular" pointing out one of the NASA wind tunnel buildings below. 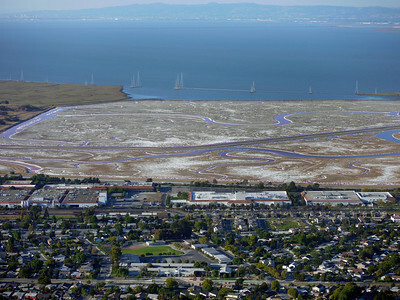 The Mayfield Slough in Palo Alto. 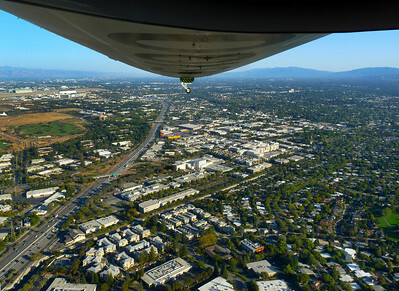 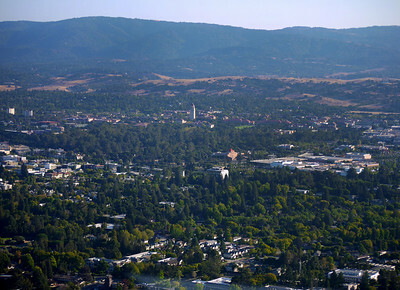 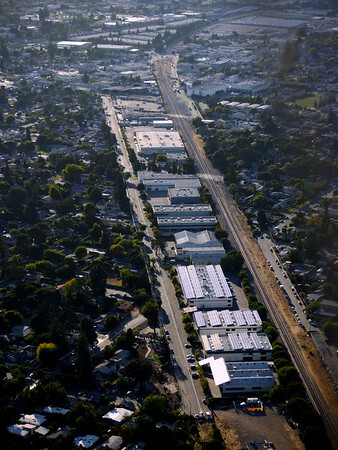 Palo Alto, CA with the Oregon Expressway going away from our vantage point. 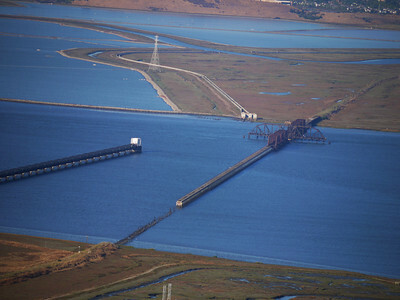 Remains of the old Dumbarton railroad swing bridge, now used as a fishing pier. 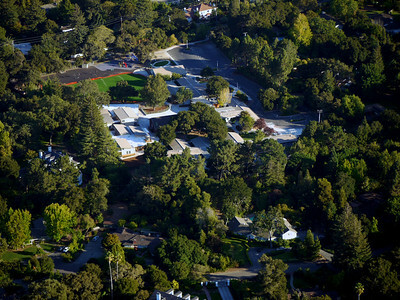 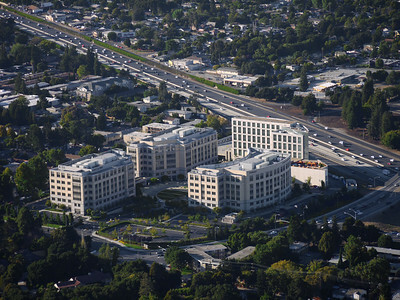 VA Health Care System of Menlo Park. 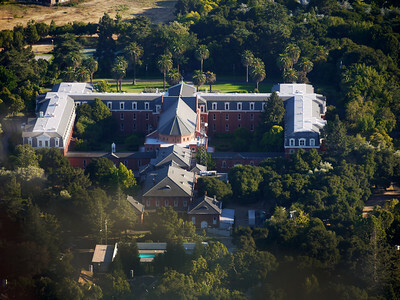 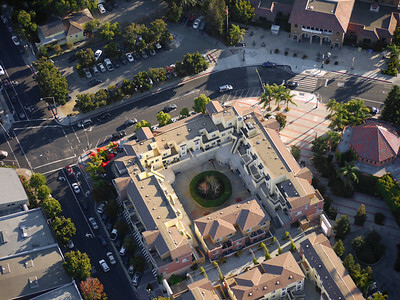 Headquarters of the Catholic Television Network, Atherton, CA.